Mancha Prabesha – Chitralekha Odissi Dance Creation Inc. The Mancha Prabesha is a graduation ceremony in which the student, after years of dedication and practice, presents a solo recital of Odissi Repertoire from beginning to end to demonstrate their achievement. This performance marks the first true solo recital of the student and is considered the first milestone of professionalism in the world of Odissi Nrutya. Amita Tanya Raha presented her Mancha Prabesha on September 17th, 1999 at the Leah Poslun's Theatre, Toronto, after 16 years of training at the Chitralekha Dance Academy. 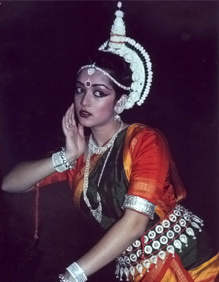 Malini Guha presented her Mancha Prabesha on November 11, 2001, at the Meadowvale Theatre, Mississauga, after 15 years of training at the Chitralekha Dance Academy. 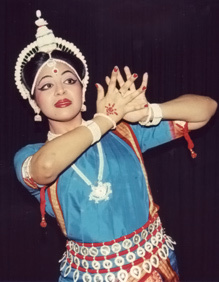 Prithula Prosun presented her Mancha Prabesha on June 26, 2004, at the Hart House Theatre, Toronto, after 10 years of training at the Chitralekha Dance Academy.